Diabetes: how can it affect my eyes? 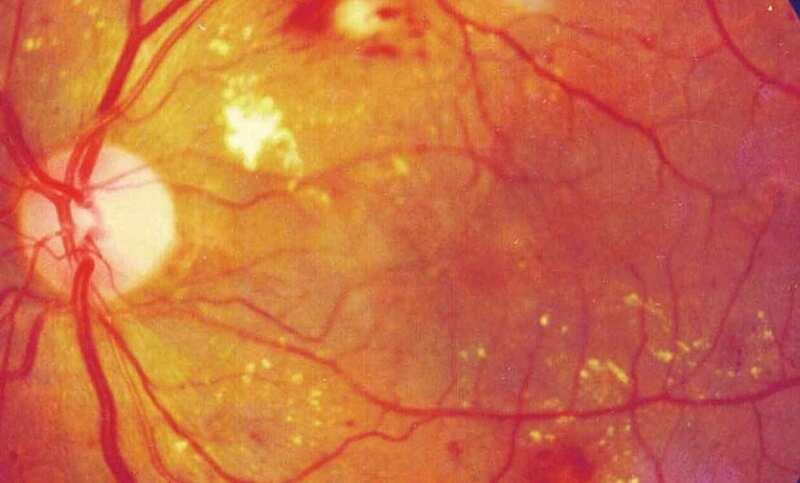 Learn more about diabetic retinopathy. Diabetes: How can it affect my eyes? For many of us, we are approaching the “season of sweets!” Healthy blood sugar control is important and one of the reasons is because it affects your eyes. Did you know that the most common eye disease affecting 500,000 Canadians is a condition called ‘diabetic retinopathy’? 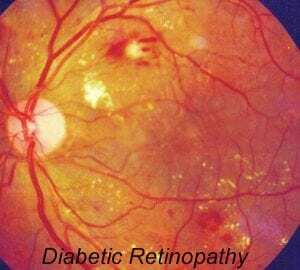 Diabetic retinopathy can lead to vision changes and sometimes blindness. The retina is the tissue lining the back of the eye and works like a film in a camera that helps you see (not an iPhone camera… an original one, with film!). Having too much glucose, also known as sugar, in your blood can damage the retina’s blood vessels which in turn leads to diabetic retinopathy. any changes in the blood vessels. With good blood sugar control, regular eye exams and early treatment, the risk of eye damage can be reduced. Can you spot the signs in this image?